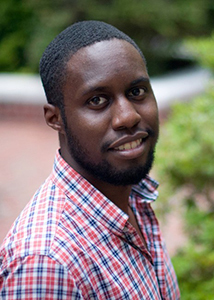 Deon Doxie joined the Irish lab at Vanderbilt in 2012 for his Ph.D. thesis research in the Program in Cancer Biology and defended in 2018. Deon’s project used mass cytometry to characterize cellular changes in human melanoma tumors serially biopsied during targeted therapy. B.S. in Chemistry, University of South Carolina. Ph.D. in Cancer Biology from Vanderbilt University. Deon’s Ph.D. training was supported by NIH/NCI T32 CA009592 training grant Microenvironmental Influences in Cancer and by R25 GM062459 the Initiative for Maximizing Student Development (IMSD). Doxie DB, Irish JM. 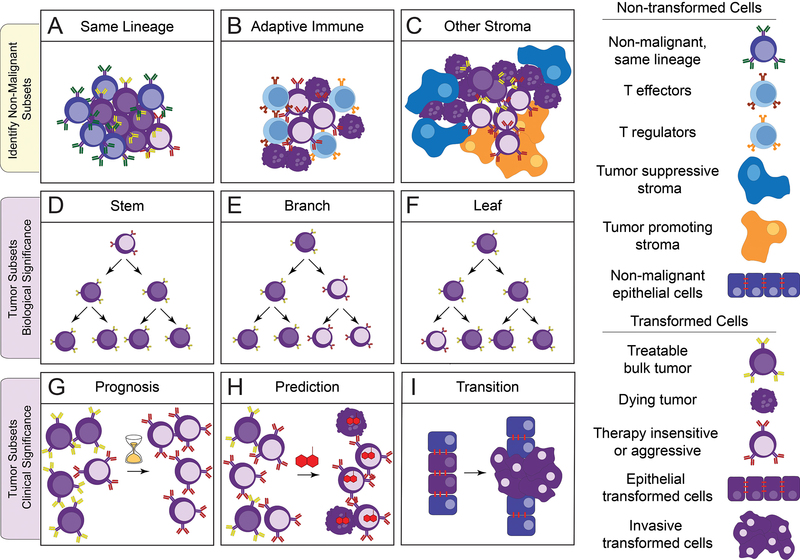 High-dimensional single-cell cancer biology. Current Topics in Microbiology & Immunology PMC4216808. Pubmed. DOI. ►This peer-reviewed review discussed how to measure cancer hallmarks in individual cells with an emphasis on quantifying altered cell signaling. It updated Irish et al., Nature Reviews Cancer 2006 and Krutzik et al., Clinical Immunology 2004 to include solid tumors & mass cytometry. Leelatian N*, Doxie DB*, Greenplate AR, Lehman JM, Sinnaeve J, Mobley BC, Kauffmann RM, Werkhaven JA, Mistry AM, Weaver KD, Thompson RC, Massion PP, Hooks MA, Kelley MC, Chambless LB, Ihrie RA, Irish JM. 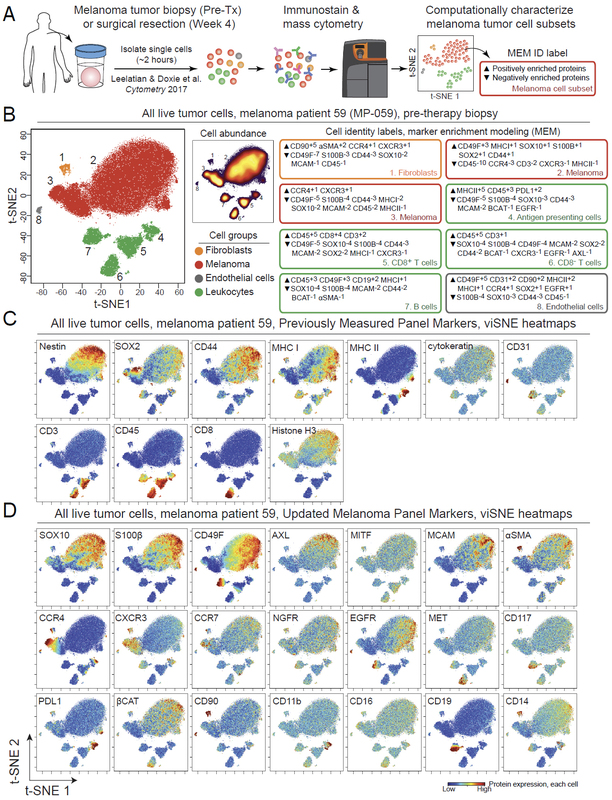 Single cell analysis of human tissues and solid tumors with mass cytometry. Cytometry B. PMC5459378. Pubmed. DOI. *equal contribution, co-first authors. ► This peer-reviewed methods research was conducted in collaboration with Rebecca Ihrie and was the first published application of flow-based mass cytometry to solid human tissues. This study validated mass cytometry for human solid tumors, including glioblastoma, melanoma, and patient derived xenografts (PDX) of small cell lung cancer. This paper was recently selected as the “Editor’s Best” pick for 2017 — congrats Deon and Nalin! If you’re thinking about doing any single cell work with solid tumors, a detailed protocol for the methods established here was published in Leelatian et al., Current Protocols 2017. This protocol works with scRNA-seq, PDX, phospho-flow, and other approaches (in addition to mass cytometry). Doxie DB, Greenplate AR, Gandelman JS, Diggins KE, Roe CE, Dahlman KB, Sosman JA, Kelley MC, Irish JM. BRAF and MEK inhibitor therapy eliminates nestin expressing melanoma cells in human tumors. Pigment Cell & Melanoma Research 2018 May 19. PMCID in progress. Pubmed. DOI. ► This peer-reviewed research is technically novel in two ways: 1) it characterized millions of cancerous cells biopsied from human solid tumors (melanoma) using 32-antibody high-dimensional single cell mass cytometry and 2) it characterized tissue from the same tumor site obtained over time as part of an innovative clinical trial design where tumors were biopsied before treatment and cells compared to those in the remaining tumor removed by surgery at the conclusion of treatment. This study revealed dramatic changes in the cellular composition of melanoma tumors that occur in vivo in patients treated with BRAF and MEK inhibitors. This study also identified a new melanoma cell type that is resistant to treatment and can now be targeted by combination therapies. This work resulted from a collaboration launched by surgeon Mark Kelley and led by Irish lab graduate student Deon Doxie. This manuscript follows Deon’s co-first author manuscript in Cytometry B from the prior year, which published the proof-of-concept mass cytometry panel and tissue preparation techniques for quantitative single cell analysis.